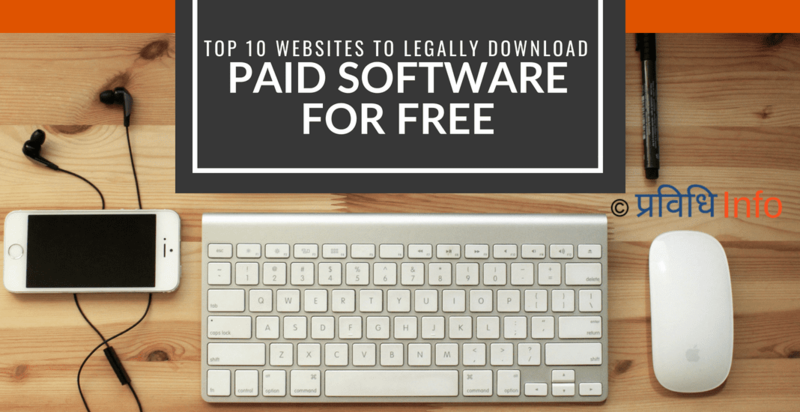 Top 10 Websites to legally download Paid Software for FREE 2019! In the world of torrents and what-nots, to download paid software for free had never been a hard task, albeit the downloaded free software being cracked and illegal to download. And most of these illegally downloaded cracked paid software for free from torrents are infected with malware, adware, and viruses. But not anymore! You can now legally download paid software for free from the following listed websites. Yes, we are still delivering you the curated websites to hunt [legally] paid things for free. 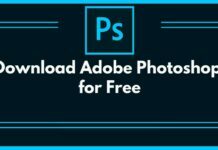 What are the top 10 Websites to download Paid Software for FREE? As we said earlier, there are tons of torrent websites that list the cracked paid software for free but unfortunately, that cracked software is malicious to your computer system. Also, there are many websites that serve the paid software for free legally, but again not all of those websites are frequently updated and offer the latest software. 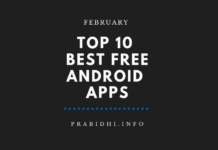 However, here we have compiled the top 10 websites to download the paid software for free legally and these websites are updated, in fact, on a daily basis! Giveaway of the Day website offers daily free software giveaway and paid programs for free if downloaded and installed on the very same day! 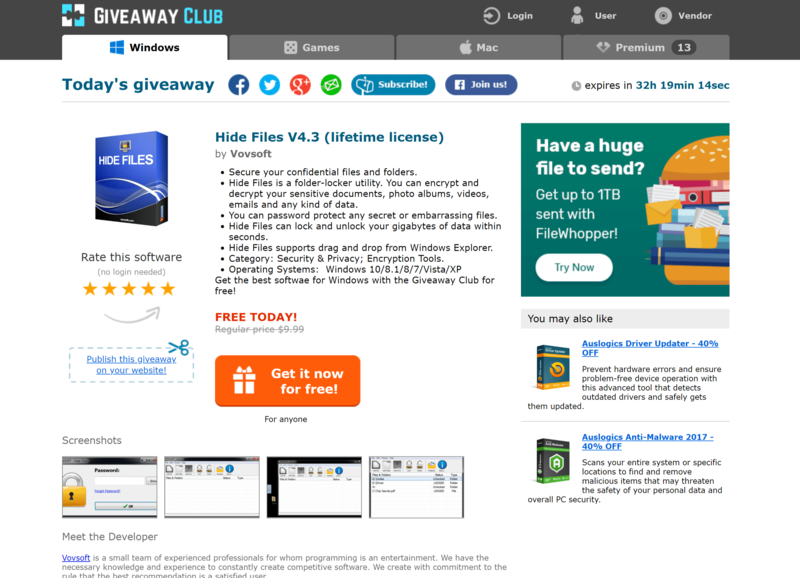 The “Giveaway of the Day” website offers to download paid software for free for a limited period of time — a day. Every day a new paid-gone-free software/app is given. And, the visitors have to download and install the software on the same day. 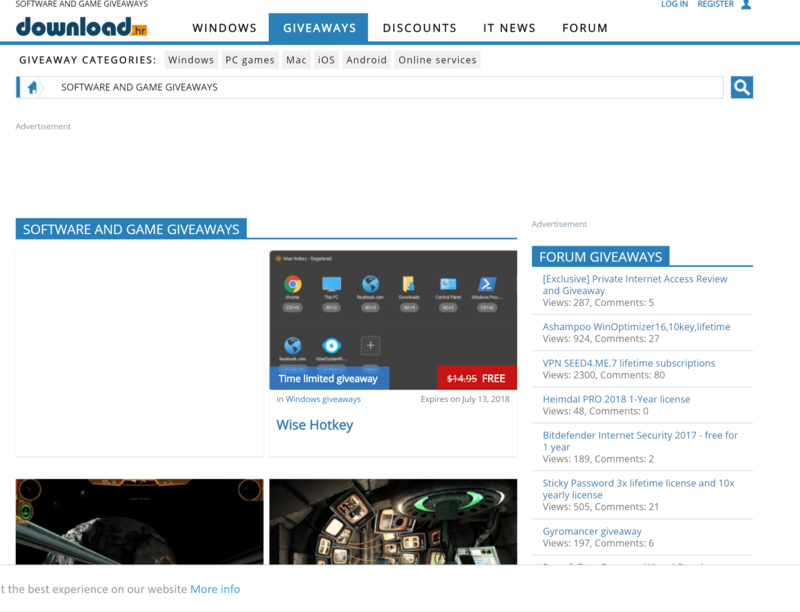 Though the website focuses on providing free LICENSED software/games for Windows, GiveawayoftheDay.com does offer free paid apps for Android and iPhones. The software provided comes with certain custom T&Cs (Terms and Conditions). These “Terms and Conditions” may not include the future software upgrades and free tech support. Also, these programs offered are licensed for a certain period of time; like 6 Months Premium Plan or 1 Year. This policy might not entertain those who intend to use these programs for the commercial purpose! SharewareOnSale is more than a daily free software giveaway website, it’s a combination of daily software deals & daily free software giveaway! 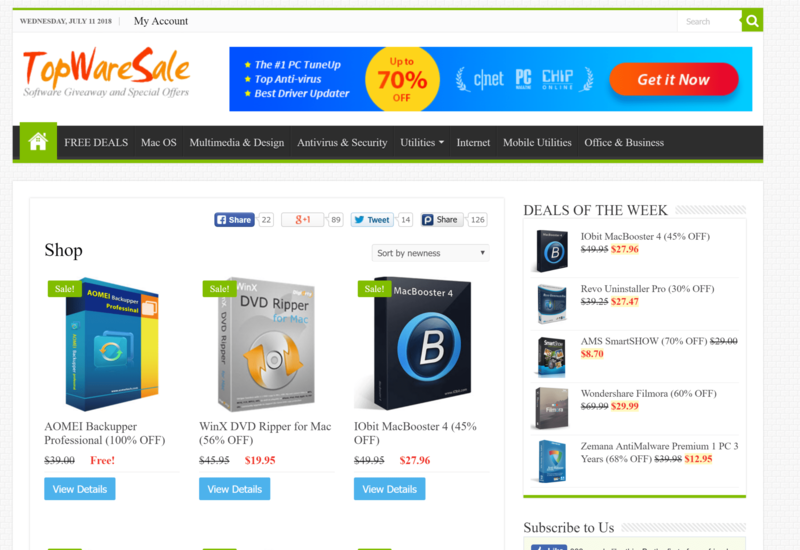 Unlike Giveaway of the Day, SharewareOnSale is a daily-deals website which focuses on serving daily free software giveaways for both Windows and Mac, & Android and iOS. The free software giveaway run for more than a day, usually for two days or so! This website not only provides paid apps for free, there are heavy discounts and sales running on the website. 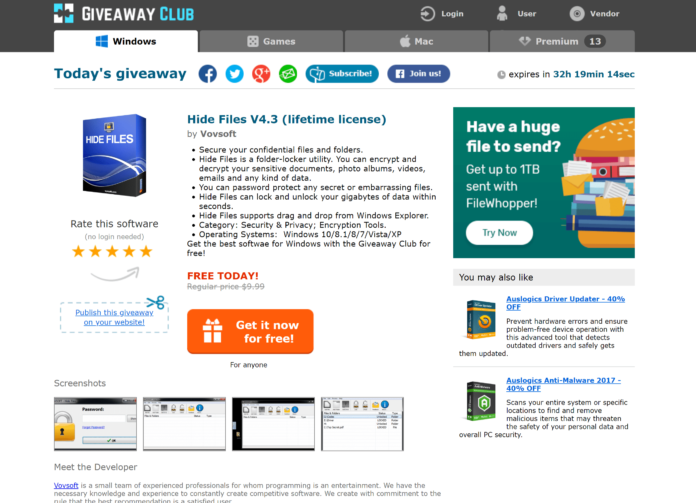 Giveaway Club is multiple free software giveaways website, but only the Premium Plan! The Giveaway Club is a unique website if compared to the above two listed websites. This project offers Premium software for free or for some discounted price. But what makes it unique than other giveaway websites are, it does offer to download paid software for free with “Lifetime License” rather than some specified period of 6-months or a year! The expiration time for free Premium software giveaway is not fixed, depends on the giveaway running. It could run for a day or more, available for download and install! However, the Premium plan subscribed customers/users get unlimited access to the top-rated software any time throughout the month. Or, at least 13 Premium programs for free to download on any day, at any time of a subscription month. BitsDuJour is more of a daily software deals than a daily free software giveaway website! Simply, BitsDuJour is another website that runs 24-hours software deals for both Mac and PC. And, though the website sometimes offers free paid software, the website heavily focuses on offering and listing discounted software and apps. The website focuses on free software giveaways for Windows, Mac, Android and iOS, IT News, and has a section to list to download free software. Download.hr mainly does software and game giveaways. There are two types of giveaways; time-limited but unlimited number of licenses, and a limited number of license. The time-limited giveaway requires visitors to interact with the social media page of the website or wait for 300 seconds to download paid software for free. Whereas for the limited number of license giveaways, the visitors have to register on the website and participate in the giveaway to win the license key for the paid software! NET-LOAD is daily free software giveaways collector website! Yes, Net-Load is basically a collector website, collects all the daily free software giveaways running on the internet and displays in one place. 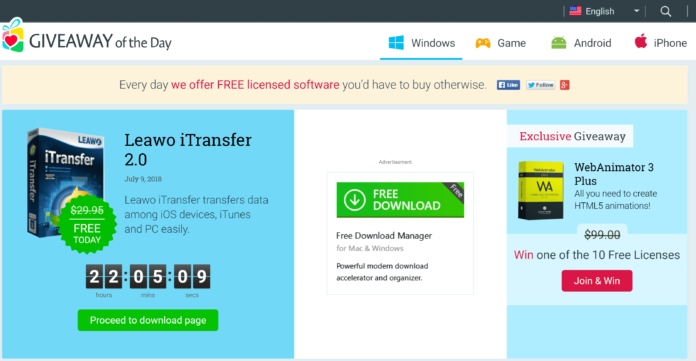 The website gives a download link for the promotional software and license key on their website. The giveaways are updated once in two days or sometimes twice in a day. No pattern to follow. 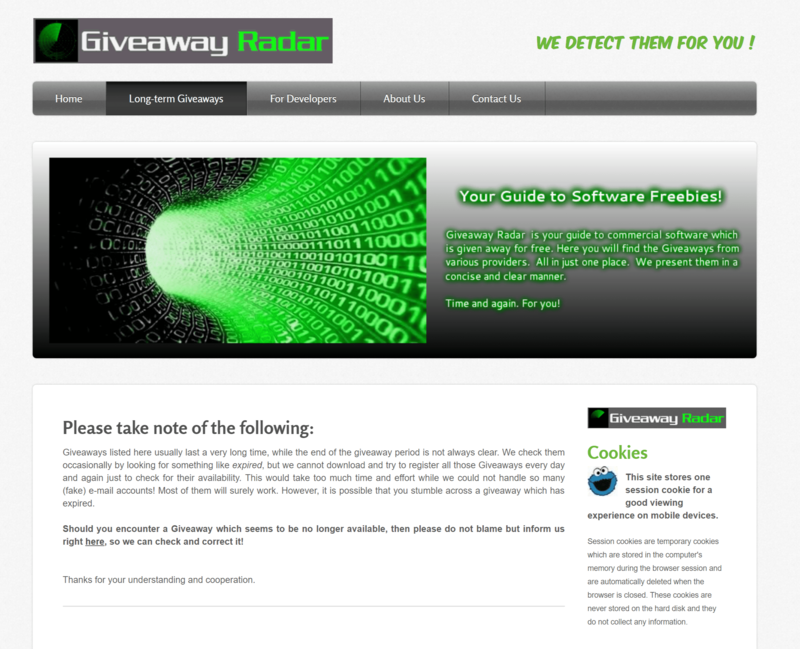 Giveaway Radar covers all the major relevant free software giveaways websites. Net-Load and Giveaway Radar share the same blood — both are free software giveaways collector website. 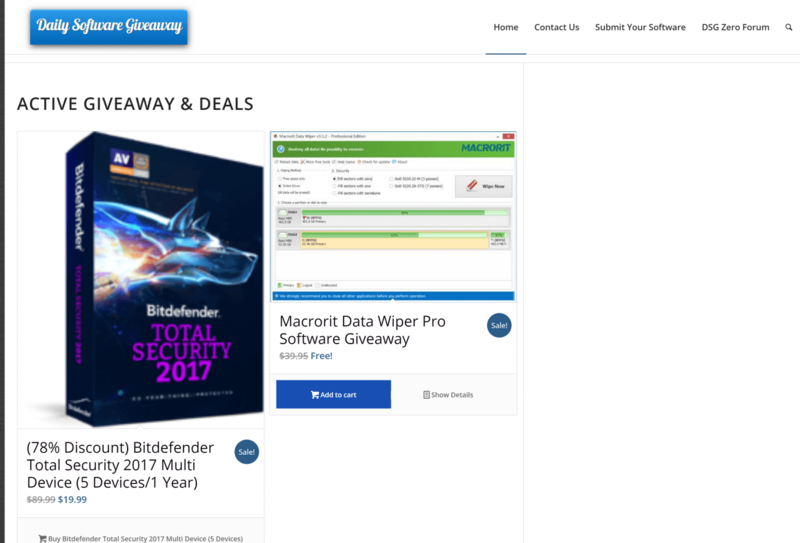 Giveaway Radar covers all the major free software giveaways website, but it does have some sort of own rules. Antiviruses and VPN Software giveaways. Free software giveaways with license period fewer than six months. 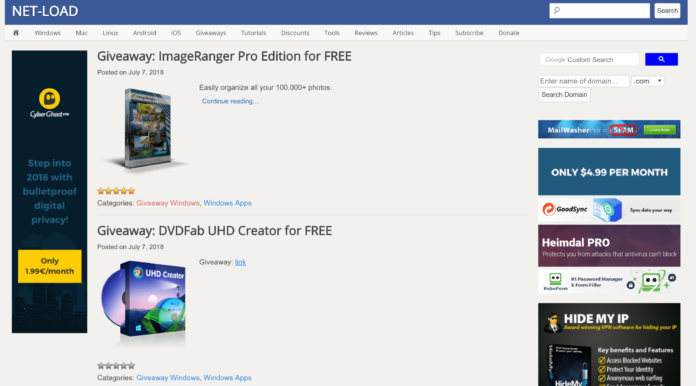 Latest Giveaways is the website to view all the latest software giveaways running currently on the internet! The website doesn’t exactly extract giveaways from different software giveaway website, but most of the giveaways are already available for download in the above-mentioned websites. As the name already suggests, Daily Software Giveaway website is a website that has a paid software ready to download every day for free. The website is very much like Giveaway of the day, except Giveaway of the day has quite a better software offered with huge user interaction! 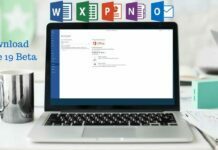 TopWareSale has the best discounted Premium Software! 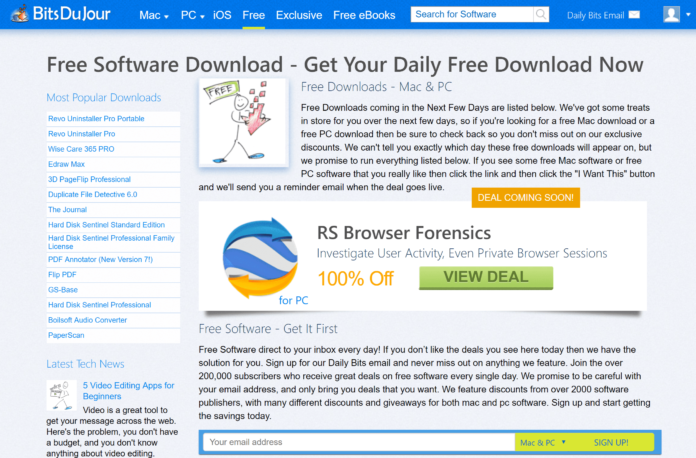 This software giveaways website promotes the massively discounted software, and very few free premium software. However, TopWareSale doesn’t update the giveaways daily. Though we already have the “TOP 10 BEST DAILY FREE SOFTWARE GIVEAWAY WEBSITE”, but if you still think we missed [any] the best daily free software giveaway website, please, feel to suggest them below in the comments. Also, you can always reach us on FACEBOOK and TWITTER, do FOLLOW us there too!